It’s been a long time coming, but I’ve finally found a grass track to post! Or so I thought. 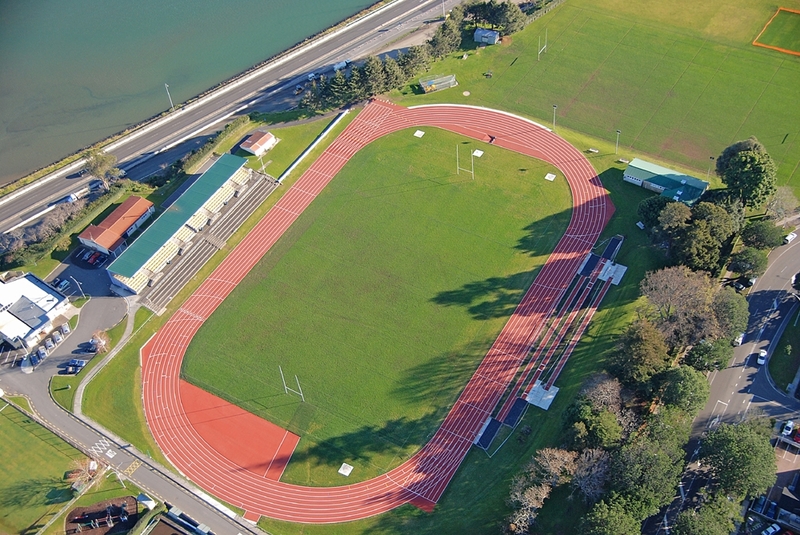 It turns out that this track has been renovated, and replaced with a brand-new, all-weather track. Even though I’m a little disappointed, this is a beautiful looking facility, as you can see in the pictures below. 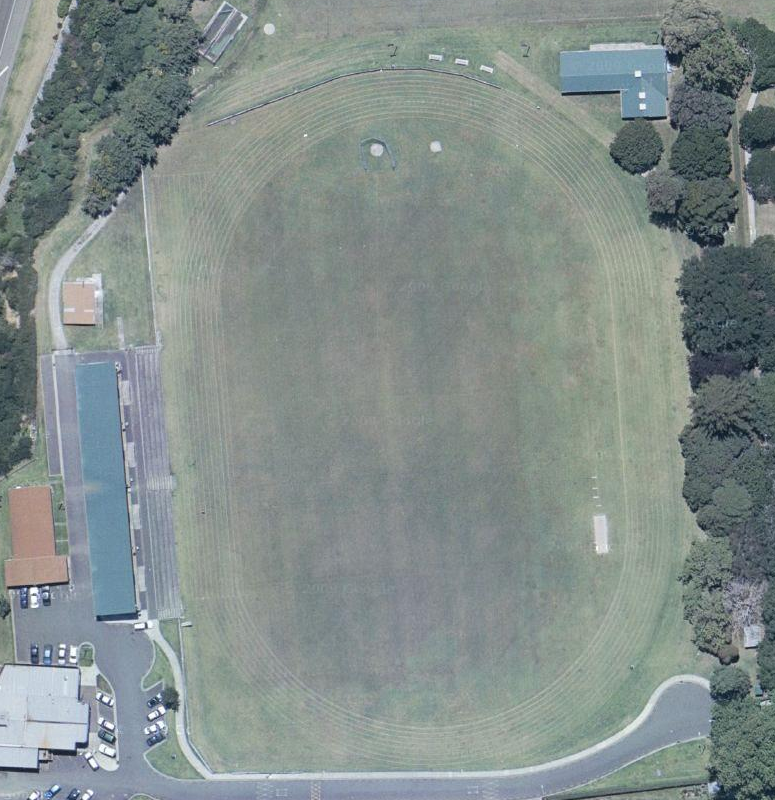 It is the home track of the Tauranga Ramblers Harrier Club. 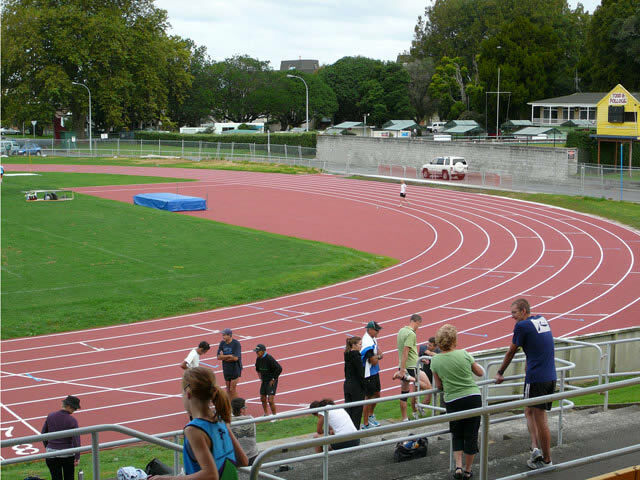 This is an 8-lane track, with full straightaways on both sides. There are three, staggered runways of the backside that have pits on both ends of each. Four throwing circle are located on the inside as well as the javelin. Either way, grass or all-weather, it’s nice to see a track in the summer, compared to the -40’s windchill temperatures we had in Minnesota today.